The disc of the valve is machined to close tolerances to create an elliptical shape similar to an oblique slice taken from a solid metal cone. When the valve is closed, the elliptical disc at the major axis displaces the seat ring out- ward, causing it ring to contact the disc at the minor axis. 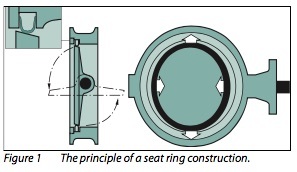 When the valve is opened, the contact is released and the seat ring returns to its original circular shape. 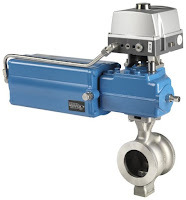 The S-DISC® control valve unit provides outstanding control performance and excellent long-lasting tightness in the same valve. The very simple and robust construction guarantees long trouble-free operation and maximum reliability. 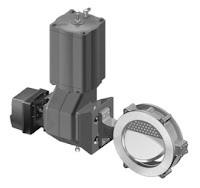 The S-DISC design consists of a standard NELDISC® triple eccentric disc valve equipped with a flow-balancing trim. The trim has been located on the downstream side of the valve body. The ingenious idea of this design is to transfer fluid forces out of the disc to the body. 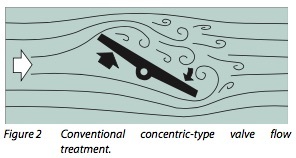 Figures 2 and 3 illustrate the flow treatments with a concentric-type conventional butterfly valve compared to the S-DISC-design. The S-DlSC design offers stable flow control and reduced dynamic torque, noise level and vibrations. 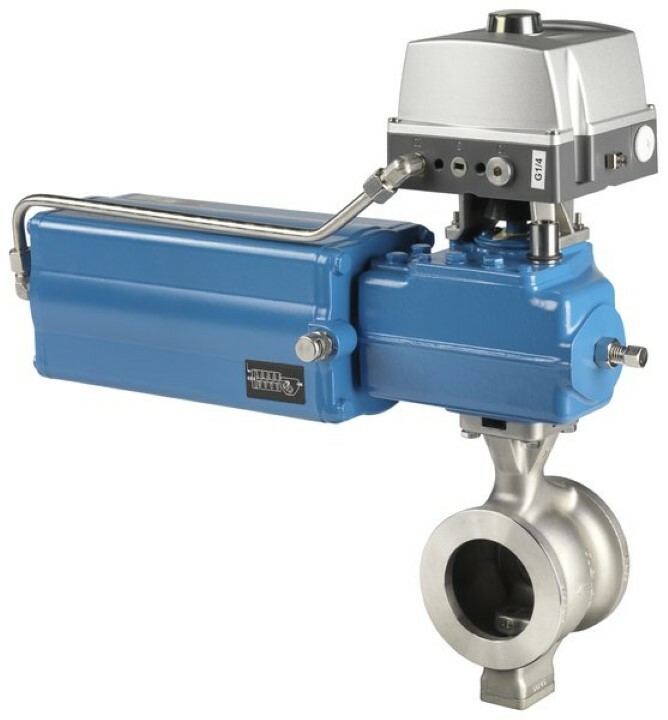 The dynamic behavior of the valve is very smooth and stable, which means less load on the shaft bearings, less required torque, smaller actuators and more economical control unit total costs. 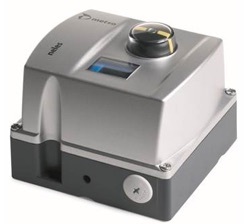 All of the excellent features of the standard NELDISC are available. The most standard NELDISC can be easily modified to the S-DISC design, just by changing the flange ring. Excellent flow and control performance. Wide temperature range from -200 ... +600 °C /-330 ... +1110 °F. Reduced dynamic torque and noise. Mechanical and flow dynamic stability allows higher pressure drop service than a conventional disc. For more information, visit http://www.meadobrien.com or call (800) 892-2769 for immediate service.